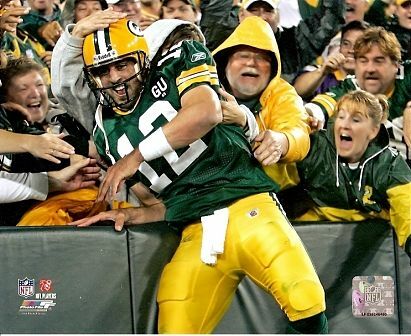 On the eve of NFL Playoff weekend, I lay in bed listening to sportscasters talk about how unfair it was that the Green Bay Packers, winners of the NFC North, were awarded a home playoff game by virtue of winning their division when they had a worse record than their opponent, the San Francisco 49ers. This originally became a big deal a few years ago when the Seattle Seahawks hosted a home playoff game with a record of 7-9. They had won the NFC West back when it was bad. They hosted the New Orleans Saints that year which didn’t win their division but finished the season with a considerably better record, 11-5. As a reward, the Saints had to travel 2500 miles to play a playoff game in the loudest stadium in the league. They lost. Home field advantage obviously played its part. Unfair? Perhaps but that’s the way the cookie crumbles or at least the way it always has. And I’m all for it. Just like the ‘Hawks of 2010, this year’s Packers will host a playoff game despite having won four fewer games than its opponent. To the division victor go the spoils. Despite continued rumblings to the contrary, you can’t convince me that the playoffs should be revised to allow the team with the better record to host a playoff game if it didn’t win its division. Similarly, we are on the verge of a change in college football’s playoff format. Next year, the BCS will become a thing of the past. Not too many of us will be sad to see it go. The bowl system that preceded the new-fangled playoffs has historically accepted teams based on how they fared in their conference. For example, the Rose Bowl has traditionally pitted the Big Ten Champion against the Pac-10 Champion, or Pac-12 Champion, or however many teams happen to be playing in those conferences that particular year. In the new system, schools will still likely receive a playoff bid by virtue of winning their conference, we think. Others will be invited at large. Had there been a playoff this year, Alabama, who many considered to be one of the best teams in the nation, would likely have been included. Oklahoma, who, like Alabama, didn’t win their conference, would not have. We saw how that worked out; the Sooners whooped the Tide in the Sugar Bowl. Sixth-ranked Baylor, who won Oklahoma’s conference, might have gotten a playoff nod. Fifteenth-ranked University of Central Florida would not have. We also saw what happened in that game, with UCF beating the Bears 52-42. Ohio State, ranked atop the standings nearly the entire season and winners of 24 straight games, might also have been included in a playoff. They lost their last two games, including their bowl game to Clemson. Some playoffs that would have been, huh? I guess what I’m saying is I’m confused and maybe I’m changing my tune. Only months earlier, you couldn’t have convinced this SEC homer that a football team should receive a playoff bid just for winning its conference. What’s both good and bad about football is that, after an entire season, we still can’t pinpoint the better team. On any given day, one team can beat another but you still have to be in it to win it. So maybe, like the NFL, college teams SHOULD be rewarded for winning their conference. This off-season, the NFL will consider reseeding its playoffs based on record rather than division winners. It’s unlikely the motion will pass but at least it’s on the ballot. The biggest potential holdup is that owners see reseeding as minimizing the meaning of winning one’s division, which it would. What to do, what to do. When it’s all said and done, we remember Super Bowl winners and national champions, not division and conference winners. Basically, what I’m saying is, I can see the logic in both decisions and I’m very, very confused. Who knows which way the NFL will side? Nor can we foresee the future ‘fairness’ of a college football playoff. An argument can be made for both sides. I’m just not sure which one to take. Should the NFL realign its current playoff format? This entry was posted in Featured, Pigskin and tagged Alabama Crimson Tide, Baylor Bears, BCS, Big Ten, Clemson, College Football, Green Bay Packers, New Orleans Saints, NFL, NFL Playoffs, Ohio State Buckeyes, Oklahoma State, Pac-10, Pac-12, Rose Bowl, Seattle Seahawks, SEC, UCF by Chris Humpherys. Bookmark the permalink. The arrogance of Nick Saban simply summed up ‘bama’s season of missed opportunities and now despair . Couldn’t have happened to a more disliked person who continues to paint a facade in terms of his likability . Your thoughts on the story coming rteteutQase out of Kansas City and the fact that the family of the late Jovan Belcher are now seeking to sue the NFL franchise in a civil suit for wrongful death and the fact that the organization overlooked or sought to hide the facts concerning his declining mental health ? Belcher took his own life at Arrowhead Stadium having murdered his fiancee’ Kasandra Perkins , leaving behind their young child . These games coming up this weekend in the NFL in both conferences are simply too close to call. Two months ago, everybody and their mother was lauding Saban as the best coach in modern history. While that may be true, he clearly appears beatable these days. Stoopsie had himself quite the game plan. Up-tempo the Tide to death. And it worked. I’ll have an interesting take on ‘Bama fans coming up soon so stay tuned. And I hadn’t heard about the Belcher case but if you’re talking about the NFL covering up evidence on concussions and their effects on former players, well, I’m not surprised one bit. True about the injuries, Dwin, but most football programs and coaches, both college and pro, will tell you they’re part of the game and won’t use them as an excuse. That’s the whole point of earning home field advantage though. Whether it’s college or pro, good weather or bad, big house or small, the football team that plays at home is supposed to have an advantage over its opponent, if only for the friendly confines or the tens of thousands of screaming fans. The Niners are the better team. We’ll see how that translates onto the frozen tundra. Off the beaten track , but it’s rumored that Charlie Strong is a very strong front-runner to succeed Mack Brown at Texas ? I think it’d be a big mistake to leave the Cardinals’ program , no matter how high-profile that Longhorns’ program just happens to be . I believe he’s settled in Louisville and has that Cardinals’ program playing competitive football since his arrival . Jovan Belcher’s family are simply looking for a big payday and the lawyer or lawyers advising them are hoping for some sort of monetary en settlement from the Chiefs as a last resort . Jovan Belcher has not been held accountable for his actions , given the fact he murdered his fiancee and left behind a child without both parents , having committed suicide after the apparent crime (homicide) . The actions of the family is despicable and without cause . How the hell do they intend to prove their case , when there’s no evidence to suggest that the player sought any outside help for any of the alleged issues they are claiming ? 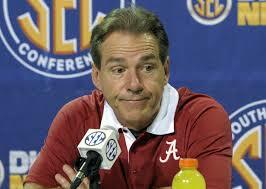 Saban should be blamed for both of ‘bama’s losses without a doubt ! . My thoughts on the college football and basketball seasons . A year in review , part two and its precursor , ‘A year in review , I think not ‘ ! Terrific games in the wildcard round of this NFL postseason . The Niners vs Packers looks good on paper and the same can also be said of the contest between the Chiefs and Colts this afternoon . There’s no doubt in my mind that beyond the hire of Lovie Smith to succeed Greg Schiano , the Buccaneers now need to find an experienced and knowledgeable general manger , in light of Mark Dominik’s five year tenure with the Bucs ! . Do you believe that the draft classes associated with him have amounted to much ? Or do you believe the “jury is still out ” on the picks made ? Louisville had to know that Strong wasn’t going to stick around very long. He’s one of the best young coaches in college football and if you look closely, Louisville had one of the best seasons of the year. They lost one game by three points to a pretty good UCF team. Gator fans could only hope they got him back but they never parted with Will Muschamp to even be in the running. Any idea what the terms of his contract will be? I imagine he’s gotta be getting paid between three and five mil, no?? Re: Dominik, it’s hard to argue that some of his draft picks were talented but it takes more than just a few good picks to solidify a GM’s job. Chris, good food for thought. My opinion: Divisional winners get home field regardless of records. Fans need favorites to root for. Next year’s college playoff system is perfect. If number four beats one, what could be better? Two players determined fate of BCS games. # 20 of Alabama was very weak and got thrown at all night by the Sooner quarterback. Bama had nobody to replace him and couldn’t help him enough in coverage. # 10 of Ohio State foolishly tried to field a punt and got clobbered and fumbled. Result: two quick Clemson scores and the game turned just as OSU was getting the ball in good field position with a nine point lead. With the offensive fire power prevalent in college today, isn’t it ironic that despite the numbers, games are more often lost by one or two errant plays? Playing in cold weather? It is what it is. Deal with it. Denver will win it all. First of all, Happy New Year. I think most of us old school cats like the way things are and agree that if you win your division, you should get home field advantage if not a bye. If the Pats, for example, run the table and another team in their division goes 14-2 but another AFC division winner has a worse record, then so be it. The 14-2 team should be able to take care of business no matter where they play, no? I like Denver too. I think we’ll all be happy Peyton shuts up his cold weather critics. Oh, and speaking of more college football, I’ll have another pre-to-post season rankings post. Wait til you see how wrong everybody was this season. It’s quite comical. Leave the NFL as is. My concern is with the four team college football playoffs. They should take the top 4 ranked teams in the polls, right? I doubt they will do that, though. Why? Because the various loser fans of other conferences will cry about the SEC having at least 2, if not 3, teams in the 4 team playoff EVERY year. but there will be a great deal of pressure placed on his shoulders right from the start, because of heightened expectations. Mark Dominion proved that in general that he is not that great an assessor of talent. Five years of sheer indifference and incompetence. You are a master of prevarication aren’t you? We’ll add that to your CV. I think Bruce gets it right about the NFL Playoffs, the divisional winners SHOULD get an advantage, if SF whines about, which they no doubt will continue to do, then they could have won their own division outright. They should be happy to have a wildcard option at all let alone where they play. Re: NCAA I think that 4 team is too few and will not hush the “they got left out” type of cries from everyone but the SEC homeboys. 8 teams might have still allowed Alabama and Ohio State but gives room for a late season Auburn, Baylor or Clemson to squeeze into the Top 8 teams. The conglomerate of football geniuses they nominated needs to keep allegiances out of it so things don’t become a popularity vote. This year would have been what? Auburn, FSU, Stanford and who? Bama? Michigan State? Look at Louisville’s schedule and tell me they shouldn’t have gotten the nod. I agree. With the most part, the BCS did what it was supposed to do. I guess my main concern with adding more teams to the college football playoff system is that it will end up diminishing the meaning of the regular season. With eight teams, you’re bound to throw in a two-loss team in there somewhere. If that team gets hot over a three-week stretch, that school could take home the title when it wasn’t the best team over the regular season but rather only during the three weeks that succeeded it. That would essentially make college football like every other sport not called the NBA. And fortunately, San Fran did what they needed to do so we can stop talking about NFL reseeding for a while. Strong will do just fine in Texas. He’s a monster recruiter in South Florida. I wonder how many of those kids will come all the way to Texas for him. And I wonder if Dominik will land elsewhere. If not, he certainly made himself enough money with the Bucs over the years to have a comfortable early retirement. I’m already trying to keep my CV to one page. Fortunately the Niners won so we can stop talking about reseeding for a bit. And you’re right. No matter what the format, we’re gonna complain. Wait until the shitstorm that’s created when the four teams are selected for next years playoffs. If Mark Dominik lands elsewhere it should not be in a position , e that gives him the power he attained with the Bucs. Hopefully the Falcons have learned the same thing with Thomas Dimitroff , who has been a complete waste of time since succeeding Rich McKay in that position as general manager . Terrific games in the NFL this postseason in the wildcard round . Buying into any type format for College Football is simply no different than the idiocy of believing that a change of administration by way of a political party will actually make the quality of your life better . Let me when you’ve caught up on your reading . Put up some recent posts that might interest you . If it’s anything the NCAA has proven over the years, it’s that if they can find a way to screw it up, they will. There have been too many teams that have gone to the playoffs with an 8-8 record as the division leader and end up hosting the postseason. Agree on reseeding just to award the teams that did put in the work throughout the regular season. If you think about it, however, if the NFL were to reseed, divisions would no longer matter since everything will be based on records. The commissioner would need to think this one through for sure. That’s the dilemma they dace, BS. This will be no easy decision.